Acclaimed performance by actor Lee Stetson fun for all! 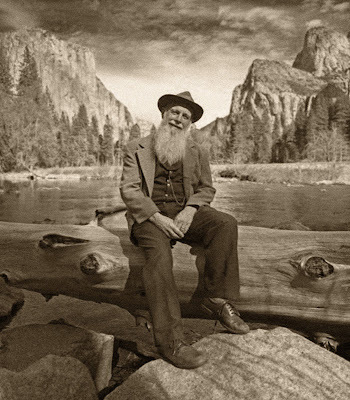 The Foothill Conservancy is hosting critically acclaimed actor Lee Stetson portraying the renowned Yosemite naturalist John Muir on Saturday February 3, at 7:00 p.m. The performance will be in the historic Mokelumne Hill Town Hall, 8283 Main Street in Mokelumne Hill. Tickets are on sale now. Lee Stetson has been performing as John Muir for over 30 years at universities, museums and parks from Washington, D.C. to Hawaii. He portrayed Muir on Ken Burn’s award-winning series National Parks – America’s Best Idea. Stetson also performs at Yosemite Park, where Muir lived for approximately six years. John Muir emigrated from Scotland to Wisconsin with his family in 1838. His first visit to Yosemite was in 1868, when he was thirty years old. Muir was so taken with the area’s natural beauty and wilderness that he remained for several years, working in jobs including sheepherder and saw miller. He was instrumental in advocating for the creation of Yosemite National Park. Founder of the Sierra Club, Muir is perhaps best known for his passionate advocacy to save wilderness, particularly the Hetch Hetchy Valley in Yosemite Park, threatened with flooding when the O’Shaunessy Dam was proposed. What some label the first environmental fight ended unsuccessfully in 1913 when Congress approved the dam project. Beer, wine, and snacks will be available for purchase at the event. "John Muir is back, and man, is he ticked” is a benefit for Foothill Conservancy’s Mokelumne River and watershed conservation efforts. For more information, contact Carolyn at 209-223-3508.